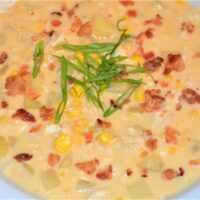 As the Winter months are upon us, I find myself in the mood for soup. As the former Corporate Chef of two soup companies, I better know how to make a good one and as the Corporate chef of Newport International, it better have some crab in the recipe! 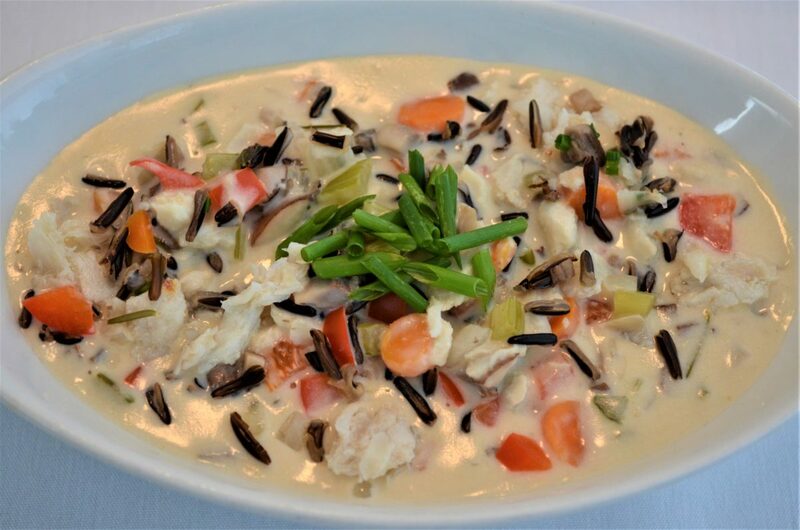 From creamy and rich to light and fresh crab and soup go hand in hand. 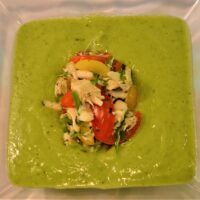 From making a recipe from scratch to elevating a premade soup by simply “just adding crab” you can wow your guests every single time. The recipes will keep coming, now go out and get some crab and start cooking! Well we closed out the Fall 2018 Show Season with a bang this year. Over the past almost decade with Newport International we have continued to raise the bar on how we present our crab meat to our customers. Long gone are the days of just serving the crab, or even a crab cake for that matter. We continue to show how versatile an ingredient our crab can be for our customers. From breakfast items to the most sophisticated entrée, from seashore classic like crab bisque to on trend and somewhat left of center items like the low country crab ramen we were serving this season, from Asian to Latin and every cuisine in between, our crab works and your customers will keep coming back. We love what we do and we have the best product in the business to work with. We enjoyed seeing all of you over the past few months and hope you enjoyed the crab! Until next year! Did You Say Low Country Crab Ramen??? Alright so I have our new hot and cold dishes all set for the upcoming show season and now I get to be even more creative, you know show them something they have never seen before, maybe never even considered. The idea started when I went on a ramen tour in Japan with my good friend Nick. He works for a company out of Japan who just happens to make the most amazing ramen broths, among other items. The one that I wanted was his Tonkotsu, or super rich pork and chicken bone broth. Alright so we’ve got a killer ramen broth and some delicious crab meat, what’s next. I need to keep it simple enough to be able to make a few hundred individual portions while still being able to talk to customers and serve our other dishes. I also did not want to go traditional, because, well that isn’t really pushing the envelope. So we went with traditional ramen noodles that anyone who spent any time in a college dorm is more than familiar with. We need something else, something green. We will add some sliced scallion, ok, but we are still missing something. Bacon braised collard greens? Heck ya! Rich pork broth, soft ramen noodles, smoky collard green with a little pop from some vinegary hot sauce, crunchy bright scallions and finished with some sweet, delicate chilled crab. Low Country Crab Ramen. As we were preparing for the beginning of show season and deciding what dishes we will serving our customers in the following months all across the country, I was busy trying to figure out a new hot dish to serve in place of our tried and true (and always well received) Maryland Style Hot Crab Dip. 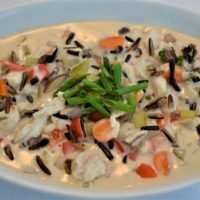 The key to the dish is that it is delicious (of course), rich, creamy, a little cheesy and has just enough spice to not only bring you back for another bite, but also not overpower our delicate crab met. 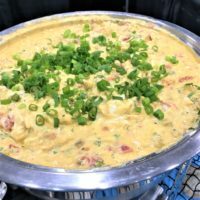 The other big part is that it seems to appeal to all sorts of restaurant concepts and I always joke with our customers that will sell a lot of beer because what goes better with a hot cheesy crab dip than and ice cold beer. Well, it was time for a change and the inspiration was from of my favorite Texas taco spots, Torchy’s and their highly addictive queso dip. If you have ever spent anytime amount of time in Texas, you know how to quickly combine a package of Velveeta with some Rotel tomatoes in a bowl and after a few minutes in the microwave all you need to do is grab some chips. Well Torchy’s takes theirs to another level by layering in roasted green chilies, fresh chilies and cilantro, among a few other ingredients. This led to our new Crab & Green Chile Queso! Velveeta, sharp cheddar, Mexican spices, fresh cilantro, lime juice, roasted green chilies and both fresh and roasted jalapenos. 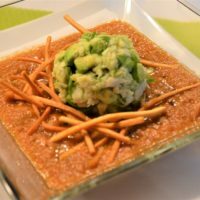 Finish with some of our crab meat at the last minute and you have got a killer hot dip. The response so far has been excellent and we hope to see our crab queso on menus across the country. Well, we are officially in the midst of our Fall show season. This means allot of planning, allot of travel and allot of work by our entire team. For me it is the opportunity to show just how versatile our delicious crab meat can be. This year we kicked of the season in Houston, Texas. Now even though I live in New Jersey now, I did just happen to spend a large part of my childhood living in Texas and with my Mother’s entire family still living there I better know how to cook for a Texas audience. 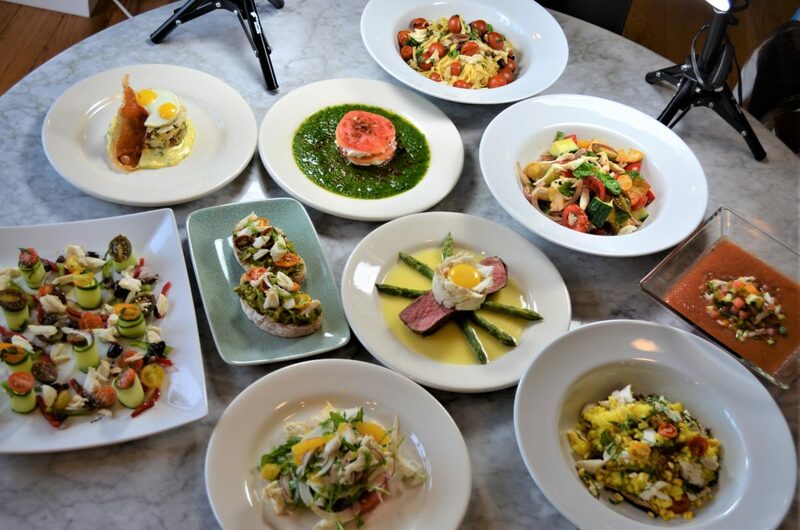 We usually try to show some variety in the dishes we choose to sample at these show to appeal to as broad of an audience as possible and to get everyone on the same page with our mantra of “it isn’t just for crab cakes!”. We usually try to have at least one hot dish and one cold dish to sample and I like to do one dish that is very left of center. We love to hear our customers say “ I never thought of doing that with crab”. 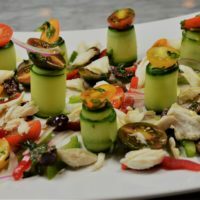 We know everyone loves our tried and true “Craig’s Killer Crab Salad” named for our fearless sales leader, Mr. Craig Hospodor, but I had to break the news to him that I wanted to change it up for the season with the Houston show being the catalyst of change. 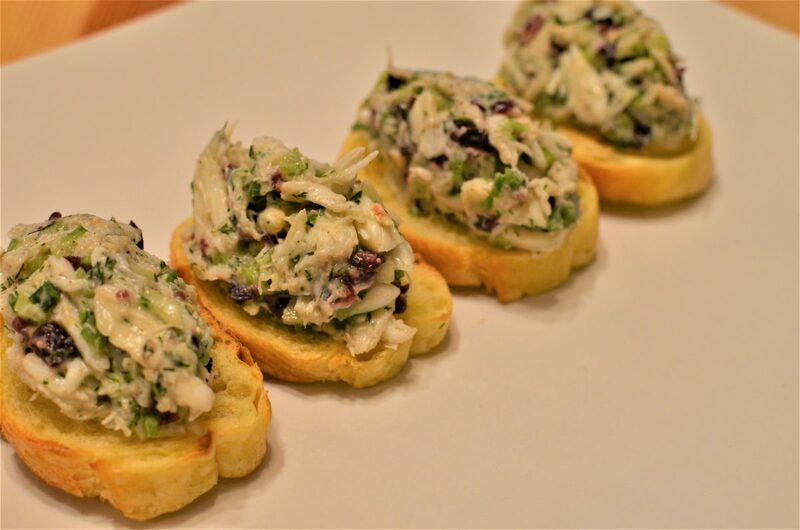 We talked through the changes, replace the signature celery seed in the recipe with some smoky chipotle and cumin, add some roasted corn, black bean and fresh chopped cilantro and you go from “Craig’s Killer Crab Salad” to our new “Spicy Southwest Crab Salad”. Well that is one dish down now we need a great hot item to replace our standard “Maryland Style Hot Crab Dip” and I still have room to make something funky. Last week was the annual East Coast Fancy Foods show held at the Jacob Javits Center in New York City. We do not present our products at this show but I make a point to attend every year to try and keep my finger on the pulse of new and developing trends in the prepared food industry. This year was especially interesting as I walked the show with a large group covering many aspects of the food industry. Our group included people from all aspects of the business, including airlines, caterers, importers, group buyers and specialty manufacturers. The bulk of our group all share membership in the RCA (Research Chef Association) and therefore, also know a good number of the over 2,000 vendors represented at the show. This is a massive show, covering multiple floors and rooms of the convention center, with a very unique layout. The bottom floor is dedicated to new or up and coming products and is segmented by state or country of origin for each manufacturer (which gives a great insight into regional trends). Many of these products are created for and launched at this show, with the hopes of finding an anchor customer at the show to bring the product to market. Unfortunately, many of these products never come to market. This is also very true as you walk the show and see the same trend (or niche product) being shown in similar forms at multiple vendor’s booths. The second floor is for established companies (some of which will also show new products in addition to their established product line) and is segmented by an International area (by country) and domestically by category (i.e. cheese or chocolate). Working with a team we set parameters to identify and record trends and to identify opportunities relative to each person’s company for items that would work in their wheelhouse or where raw material supply could be an option (like with our crab meat). The rule is that once you see the same item/concept 3 or more times at the show it is added to the list. Attending every year also gives a perspective of development of a category or trend over the years. – One trend that continues to grow is detailed benefit call outs on packaging and marketing materials. This could be anything from “Non-GMO” to “gluten free” or the new super popular “good source of protein”. Sometimes it seems like the benefits of the product drive the interest more than the product itself. – Alternative sweeteners – this trend continues to grow and become truly mainstream, white sugar is out, this year honey and maple syrup in all forms took the lead (years past it was Agave). One of our favorite products was a smoked maple syrup from Vermont, clean label. – International flavors in spices and finished goods. From Africa to Jamaica to India, expect to see these flavors in items and on menus this year. – Flavored waters and unique non-alcoholic beverages. From maple water to cold brew coffee and premium teas. Teas and items flavored with tea was another big category. – Regional specific items – my favorite was sea salt from Maine and Oregon. You need this to cook your lobsters or Dungeness crab! o Jerky and meat sticks everywhere – this year added palnt and vegetable based items, mushroom jerky sound good? It has kind of become our mantra at Newport International over the past decade. We all love a good crab cake and it is the most popular application for our crab meat, however, there are so many other exciting, seasonal recipes to showcase our fantastic product. That being said, we are coming into one of my favorite culinary times of year, Summer. So many of many my favorite ingredients to cook with at the peak of flavor, from vine ripe tomatoes (we are known for our tomatoes in NJ! ), sweet corn, peaches, watermelon (one of my kid’s favorite foods) and the list goes on. It also means entertaining, whether it’s a cookout for family after a day of boating or a gourmet meal for friends coming to visit us on the Jersey Shore. Needless to say, no matter what the occasion, crab will be on the table at our house. So to kick off the Summer I have created some new recipes as well as reworking and updating some classics. I will be posting new recipes throughout the next weeks so please check back often! You can also check our Facebook pages to see where we will be showing our products at regional food shows in the coming months. PS, in case you were wondering about crab and Rosé (what seems to be THE drink of Summer 2018), it is a perfect pairing. Enjoy. Today started on a horribly sad note when my wife told me about the passing of Anthony Bourdain just a few minutes after I opened my eyes. I met Anthony back in the 90’s when I was just getting my feet wet in the business. He was cooking at Les Halles where he was Sous Chef under the husband of a coworker. At this time the Food Network was in its infancy and the idea of a celebrity chef was more of a localized phenomena (Bobby Flay was still cooking at MESA Grill and Mario Batali was at his tiny restaurant Pō for example). Food writing was done by professional writers, none of which I remember meeting had ever spent time in a professional kitchen. There was no Yelp, no online reviews or even online reservations for that matter. You would read the NY Times to know what is going on in NYC and it was one person’s opinion, the almighty Food Critic. Now we live in a world where anyone and everyone not only can share their opinion they feel entitled to share it and somehow most see themselves as an expert. I was working for my dear friend Billy Gilroy at his restaurants MATCH, which at the time were two of the hippest places in town. I was in my early 20’s, single and no children, the restaurant was my life. Most days I would work open to close, which meant getting home after a couple after shift drinks meant maybe 4 hours of sleep at best. I met some of the most interesting people during those years, coworkers, customers, vendors and the list goes on. The fuse on the culinary world had been lit and things were changing. We would meet up with friends from other restaurants at certain dive bars or if money was good maybe go to Blue Ribbon for a late night meal. We would share stories of dinner service or which Chef’s we hated or loved to work with. I loved every minute of it and I do miss the chaos at times, just not enough to go back. Great Chefs are artists and “feeding people” is their way of expression. I love the term “feeding people”, I once worked with a really amazing Chef at a super high end place and he would always say “we have X more people to feed”. There was a double meaning to this for me, one was the basic part of that was what the job was, cooking food for people, the other was the way it made it sound like we were doing some humanitarian effort, however, $150 a head is for dinner is far from charity, still you were filling an essential need to food, just on an elevated level. My brother was with a big PR firm at the time and as the celebrity Chef business began to take off the PR business had to change as well. As the years went by it became cool to be a Chef and it seemed everyone wanted to be one or at least know and hang out with one. All of these young kids dropping +25k to go to culinary school with the belief that they would graduate and be the next Gordon Ramsey, but be able to skip the talent and hard work part. I remember when Kitchen Confidential came out and friends and family were shocked by the stories that Mr. Bourdain so eloquently had told. The stories to me were all too relative and I knew or had worked with a good number of the characters in the book. Food is life and it tells the story of the people, the land, the history of where it originates. I loved watching him travel the globe and experience the culture of his surroundings through food, and drink of course. I have been lucky enough to have a job that allows me to do the same, I just do not have the writing skills that Anthony was blessed with. Something to aspire to. You will be missed. We are always working with our customers to find “the right crab for their application”. All of our crab meat is wild caught, handpicked and hand packed. Whether it is based on price point, taste, texture, visual appeal and performance in a specific recipe or most crucial in the current market, availability of supply. Last year we faced one of the most limited natural supplies of blue swimming crab meat (Portunus Pelagicus), which tasked our team with providing our customers with alternatives both from a cost and supply basis. We focused on showing that there are viable options in both our red swimming crab meat (Portunus Haanii) and our extremely affordable frozen swimming crab meat (Ovalipes Punctatus). We had our customers do blind tastings of the same recipe using two of the different species to compare the results in a finished recipe. The results were actually shocking as over 80% of the customers who tested the recipes actually preferred the ones made with the less expensive crab. I try to make my explanations of the differences and advantages/disadvantages of each of species (lines) of crab as simple to understand as possible. In real simple terms, our Pelagicus crab (blue swimming) is a standalone item that can literally be served on its own, applied directly to the plate, such as on a salad, soup or a beautiful steak Oscar presentation. It can be served with a sauce or drawn butter on the side and simply enjoyed. Of course it will perform excellent in any application, however, it might not be the best choice, based on the end recipe and price. Our Haanii crab (red swimming) is also an excellent product, however, due to how it is caught and processed (troll caught vs. trap caught (day boat) for the Pelagicus) it performs better in a recipe than as a standalone item (the exception to this is our Gourmet/cooked on board Haanii crab line). It is an excellent option for lightly seasoned recipes where the crab meat will benefit from some complimentary flavors, like in a mildly seasoned crab cake. With this item it is 80% about the crab and 20% about the recipe. From there we go to our frozen crab. It is still 100% wild caught, real crab meat that is handpicked and packed, however, after pasteurization it is frozen and shipped. The product needs to be properly (safely) thawed before use and will have more natural loose liquid (crab juice!) once thawed than the refrigerated blue and red swimming crab meat. Again, this is not a standalone item, it is an ingredient to be used in a recipe/formulation. As with the Haanii crab it performs best in a recipe, but unlike the Haanii it is more like 50% about the crab and 50% about the recipe it is utilized in. For example in a classic Maryland style hot crab dip, most of our customers actually preferred the one made with the frozen crab as compared with the Pelagicus or Haanii crab. The mixing procedure, seasoning level and amount of wet ingredients or binder might need he adjusted slightly as compared to using our traditional refrigerated crab meat, however, with these adjustments the end result can actually perform the more expensive alternatives. 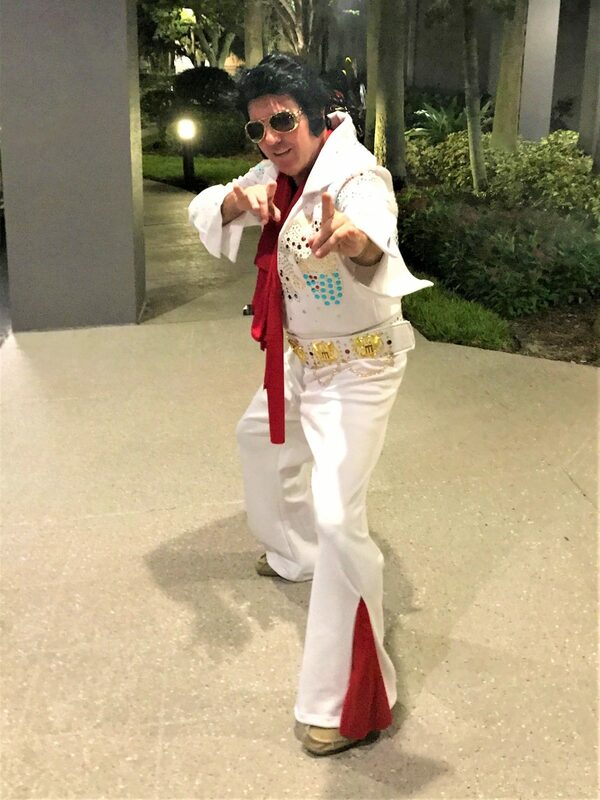 As our SVP of Sales, Craig “Boss Hoss” Hospodor, always says “Plan your work and work your plan”. Our plan for the past decade has been to become the expert vendor of swimming crab meat. I have spent countless hours testing hundreds of pounds of crab meat in its natural state, from raw to fully processed and in recipes to fully understand how each species performs and to identify the characteristics of each product (down to the 10th of a percent of the average loose liquid in each). This knowledge is passed to our sales team and to our customers. We are constantly looking for new links to our supply chain to help maintain and grow the domestic supply of swimming crab meat while keeping a strong focus on long term sustainability of each species. This can mean new species, new processing systems or even new regions/countries for wild harvesting of the crabs. We have been in business for over 50 years and by following this plan we will be here for another 50. This year has brought us an even more difficult season from a supply standpoint than last year. What started out as a possible continued global shortage of Pelagius crab, has turned into a global shortage of all swimming crab meat. With prices on both blue and red swimming meat reaching record highs, or frozen crab becomes not only a functional alternative, but also a financially viable option. As a company we have sold our frozen crab to manufactures for decades. It is used by many of the major processors of items such as soups, dips and of course crab cakes. Our frozen lump allows our customers to have a true crab item (crab with a “C” not krab with a “K”!) on their menu or to offer to their customers, while still keeping costs in line. The last thing we want is to see crab leave a customer’s menu offerings due to lack of natural supply (we cannot just go make more!) or due to market driven increased costs. We have alternatives and in this historic global swimming crab shortage to carry you through the coming months. Our team looks forward to working with you to find the solution, whether it be temporary or permanent, to this current crab market. As one of our sales guys said “It is the year of frozen crab!”.